Making the eyes more beautiful is the business of Asia’s Lashes. It is currently offering a lucrative opportunity to entrepreneurs who want to take advantage of the potential of the beauty industry. Making a woman’s eyes more beautiful is the business of Asia’s Lashes. Having longer and thicker eyelashes surely does wonders. That can be the reason behind the current popularity of eyelash extension products in the market. According to its franchising manager Leah Urbani, modern Filipinas now explore different ways to emphasize their physical beauty. “They know that making the eyes prettier is important,” she said. Fortunately, a woman does not need to spend several hours each day to use eyelash curler and apply mascara just to achieve a gorgeous look. The semi-permanent eyelash extension service that Asia’s Lashes offers only lasts 40 minutes to 60 minutes. Urbani asserted that the eyelash extension does not easily pull off, even when the wearer takes a bath or swim. It will naturally fall off after a month. She recalled that eyelash extension salons started proliferating in the country in 2006. 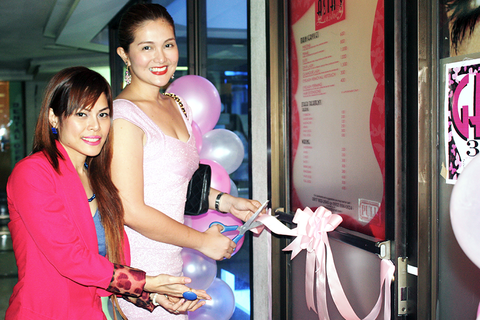 Asia’s Lashes opened its first store in August 2013. But the business is already competing head-on with some of the older rivals. Urbani also reiterated the importance of competitive pricing in this industry. “Our services are cheaper compared to those offered by rivals,” she declared. Eyelash extension services offered by the business cost P600, P800, P1,000, and P1,500. In comparison, competitors’ prices range from P750 to P2,000. An indication of Asia’s Lashes’ success is its expansion. In a short span of time, the business is setting up other locations. “We opened our Tutuban (in Manila) branch last March 7. There’s another upcoming location to be opened soon in Cebu.” Both are franchised stores. Any entrepreneur who wants to get into the beauty industry can still consider getting an Asia’s Lashes franchise. Those who are passionate about making people beautiful are advised to try this opportunity. Do you want to try this lucrative opportunity? Check out the online directory listing of Asia’s Lashes here. Main photo features Leah Urbani, franchising manager of Asia’s Lashes. Third photo shows actress, TV host, and commercial model Dimples Romana of ABS-CBN’s Star Magic. “Asia’s Lashes ‘Professional Eyelash Extension Studio’ is the only eyelash salon in the country with a credible celebrity endorser,” said Urbani.